The Isle of Skye Half Marathon is the premier race in the Scottish Hebrides. Skye is easy to get to via a toll free bridge, so no worries about missing ferries or bad weather! The course is set amidst the most magnificent scenery you could hope to encounter anywhere in the UK. The course will now more gradually climb out of Portree for the first 1.5 miles before a steep climb at Druimuie leading to a now fast downhill 2 miles to the Kensalyre turn. 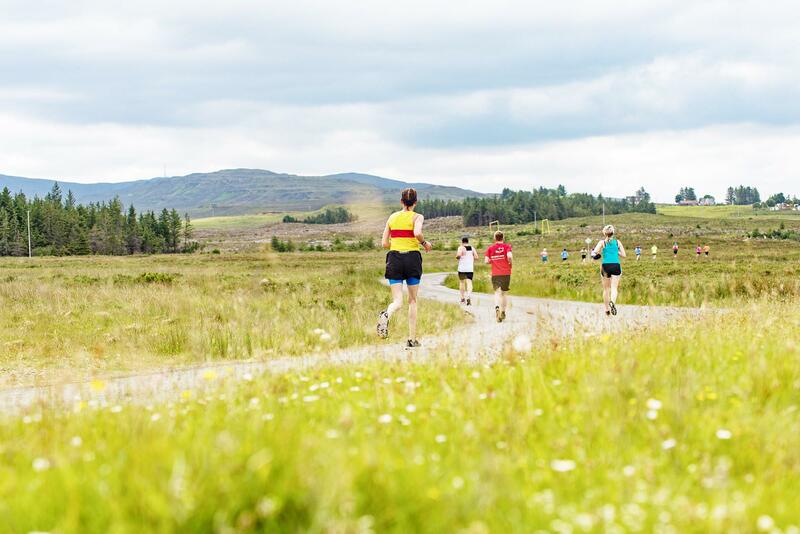 The race then follows a single track through spectacular Isle of Skye countryside including the Snizort river. The last few miles are downhill ensuring a fast finish in to the town of Portree. The finish line is at Portree High School where the moment you cross the mat your time will be instantaneously recorded to computer. At the finish we will have bottled water, goodie bags containing your race medal, Isle of Skye Ale and other goodies. There is also a Fun Run (manually timed) with a fantastic bespoke Isle of Skye medal for all finishers and great age group category prizes. Entries are also online in advance. Use this option if you are NOT a member of Scottish Athletics. Runners must be 17 years old or over on race day. Please note that there is a 3 hour cut-off time. Use this entry option if you ARE a member of Scottish Athletics. Runners must be 17 years old or over on race day. Please note that there is a 3 hour cut-off time. Use this entry option if you are 17 and older. Use this entry option if you are under 17.